A common problem faced by IT administrators is to install Android applications on a large number of devices manually. An efficient solution to this problem is to use a UEM solution like SureMDM. Creating an Install Job in SureMDM and remotely deploying the same to multiple Android devices makes the process not just easy but efficient too. 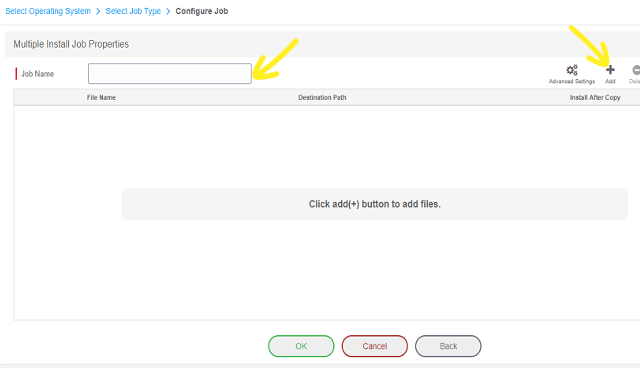 How to create Install Job in SureMDM Web Console? 1. Login to the SureMDM Web Console. 5. 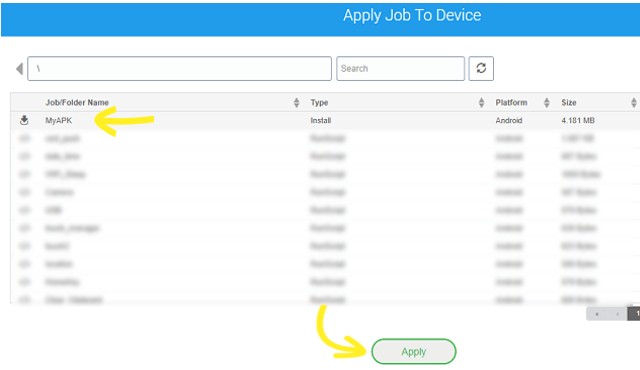 Click Install Application job. 6. Enter Job Name and click Add. 7. 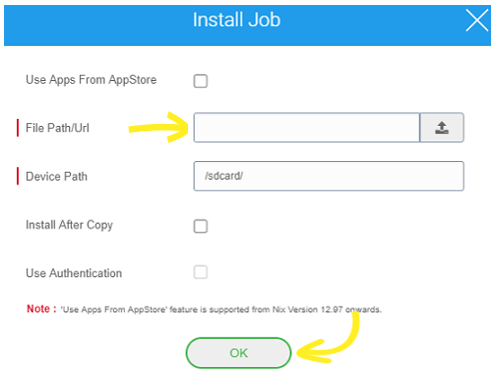 Here you can use 2 ways to add the application to the Install job. Browse the apk file or type the file URL and click OK. Note: Please ensure that the upload status is completed before applying the job to the devices. 2. 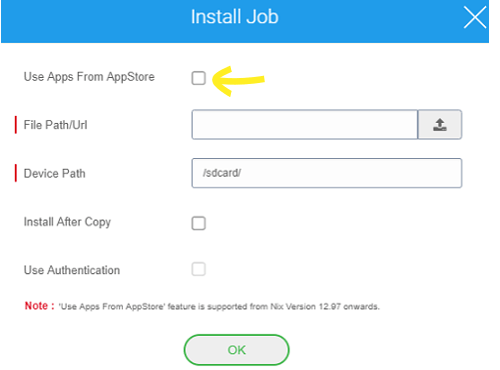 Host the application to SureMDM App Store and Check Use Apps From AppStore option in the Install job. 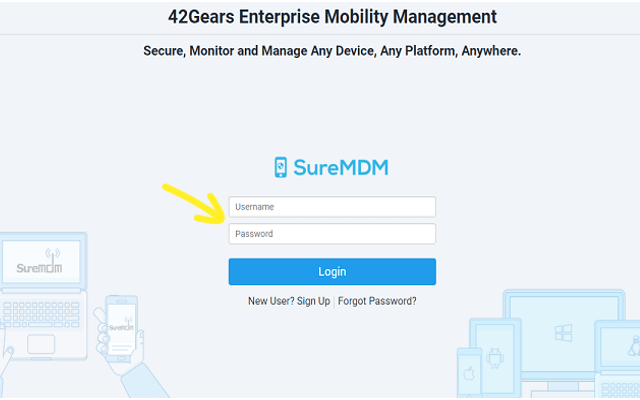 Please click here to know more on SureMDM AppStore. Device path is /sdcard/ by default. However the admin can change the device path as per their requirement. Install After Copy option is unchecked by default. 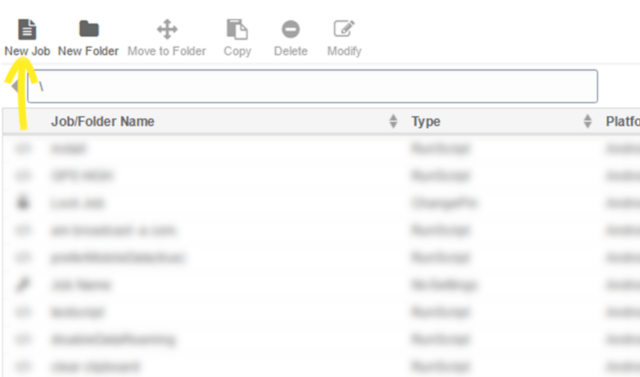 If the admin wants to install the application once it is copied to the device storage, this option must be checked. How to push the created job on devices? 1. Go to SureMDM Home. 2. 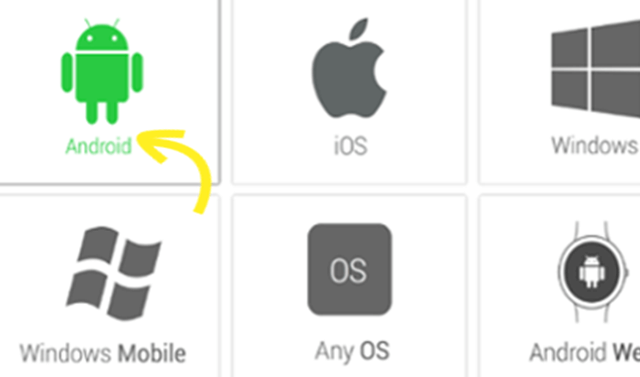 Select the device(s) from the device list. 4. 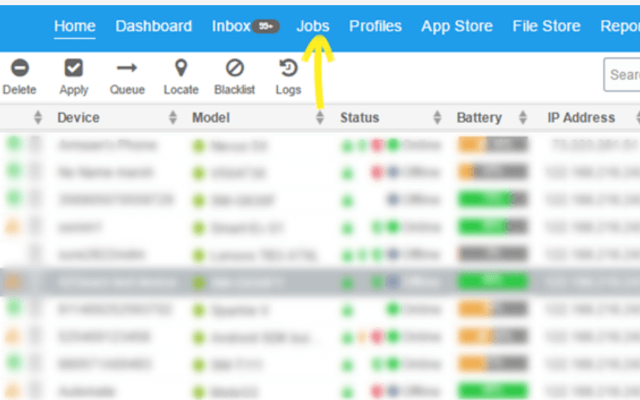 Select the created job from the list and click Apply. Install Job will now be pushed on the device. This can be confirmed by a green tick beside the device, once the job is deployed. 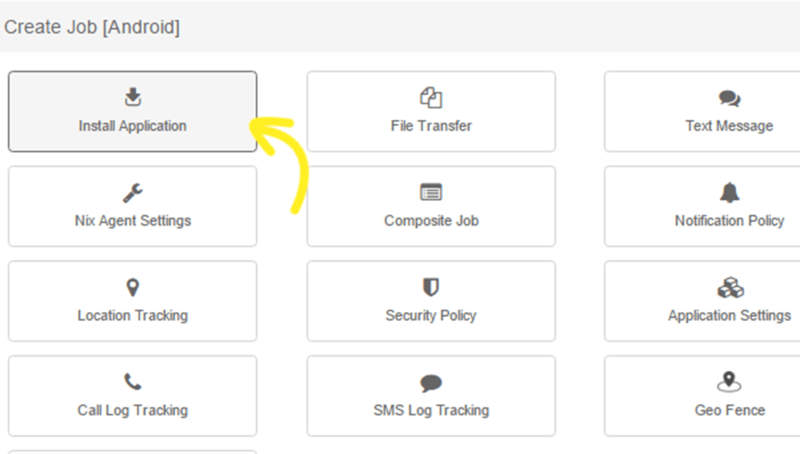 The status of the job will also be reflected in the Log section at the bottom of SureMDM Web Console.